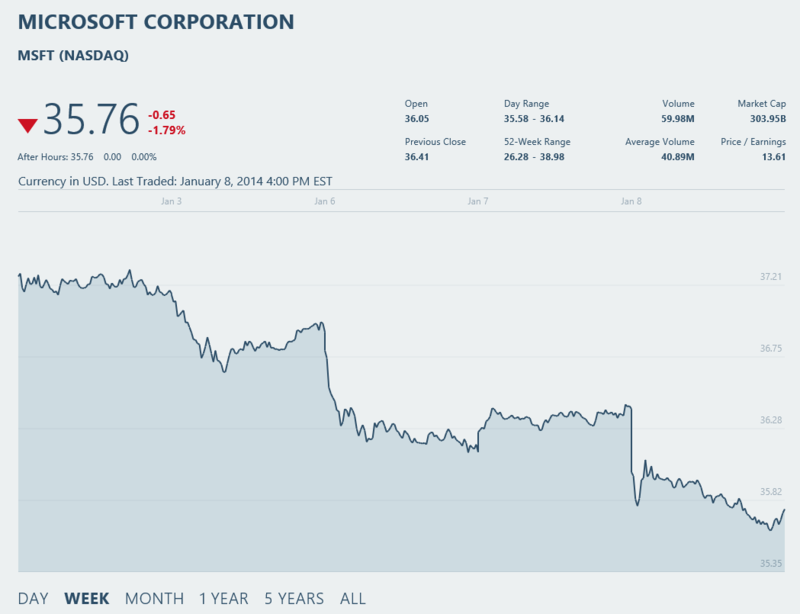 On January 8, MSFT faced 1.79% trading down for the day with the news from Alan Mulally, the CEO of Ford Motor Co., that he would not join Microsoft as CEO, in the place of Steve Ballmer, and continue to serve Ford. This interview shocked the investors at NYSE resulting int he trading down of MSFT and the jubilant and satisfied investors hived at Ford’s F at NYSE with 1.04% for the day. MSFT had a good start at 9.48 AM with 35.75 and was raised to 36.08 at 10.09 AM but then dropped to 35.7 at 4.00 PM. Ont he other hand, Ford ‘F’ was lowest at 15.52 at 10.06 AM and then started to ups and down rally to the end at 15.52 at 4.00 PM. at one time during the day, it touched the height of 15.69 at 9.00 AM. For the Week, today was the lowest day for the MSFT which had a fine year with 28. 52% height in the year 2013 but this month is not going good for the MSFT. 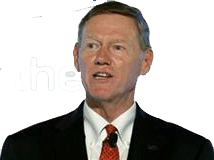 An interview AP, Mulally, openly emphasized to serve Ford and rejected news of his plans to join the Microsoft as CEO, leaving the question of taking over the job of Steve Ballmer, to speculations, once again. Now, the speculators are speculating, again, but now about the inside change from within board of directors, such as COO Kevin Turner or hardware chief Julie Larson-Green. Or speculators are that Bill Ruh of GE can be a next choice – keeping in view the role of GE as well known talent farm. Older 2.85% Increase in Stock Values of 13 IT Companies on Jan. 6 & CES 2014!